Money is one of those math topics that kids generally love to learn about. They all want money, so they usually don’t mind learning how to count it. At least mine didn’t. Since Pooh is in second grade, learning to work with money is one of our main objectives for math this school year. So I’ve started using several money activities for second grade to help him grasp this concept as easily as possible. 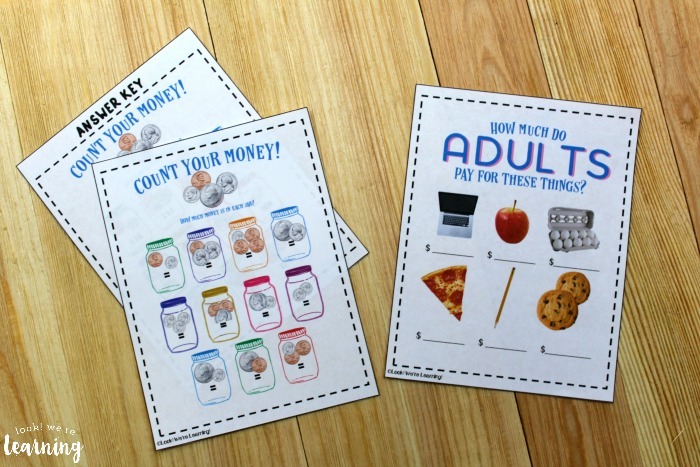 Plus, I’m sharing a new printable today that can help your kids learn to work with money too! 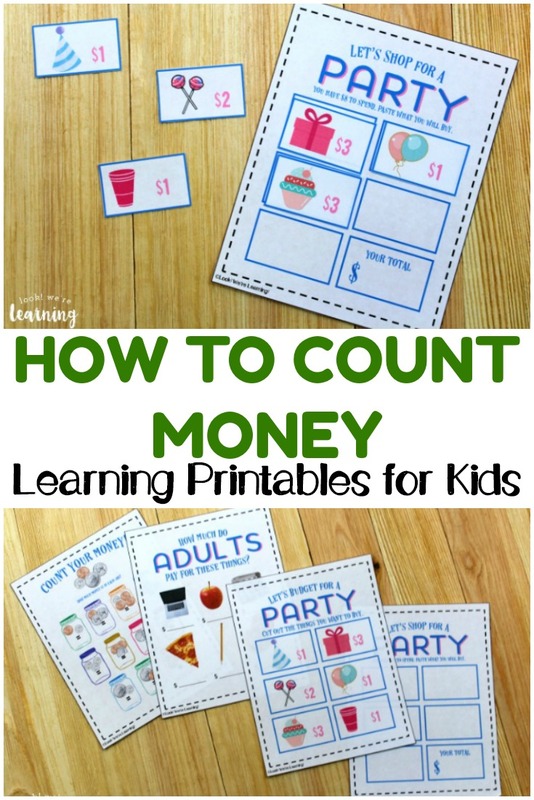 Take a look at the 25 different money activities for kids below to find some super cool ways to get your kids counting change and dollars! Psssttt…don’t forget to read all the way to the end to grab a new free resource for learning to count money with your students! And for more fun with math, don’t miss our DIY Geometry Dice for a quick hands-on geometry activity! 1. 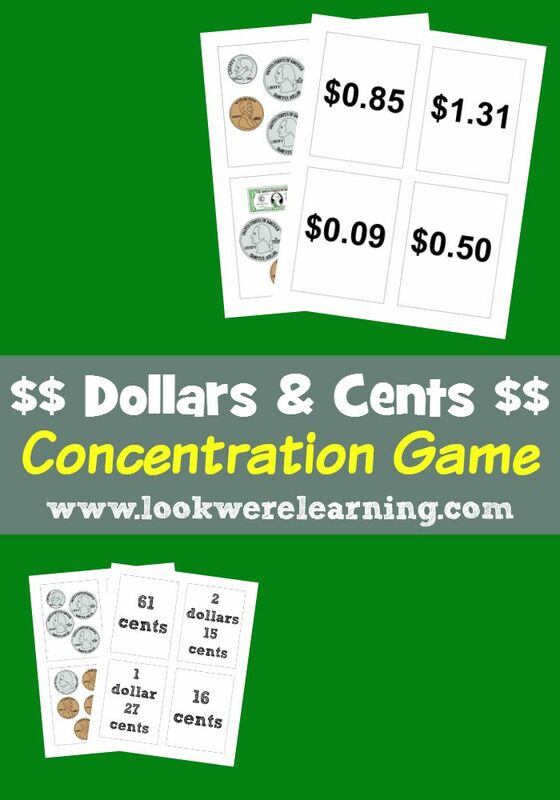 Dollars and Cents Concentration Game – Look! We’re Learning! 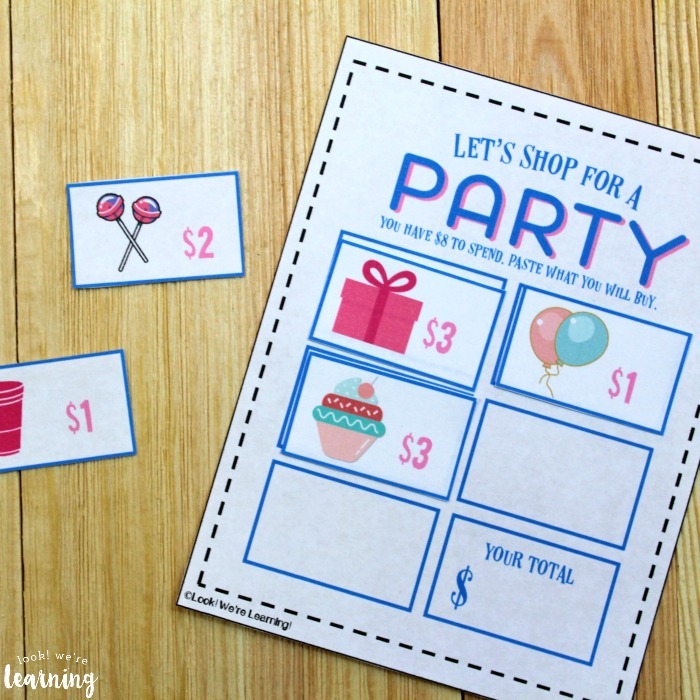 Fun Money Activities for Second Grade – Set Up a Store! 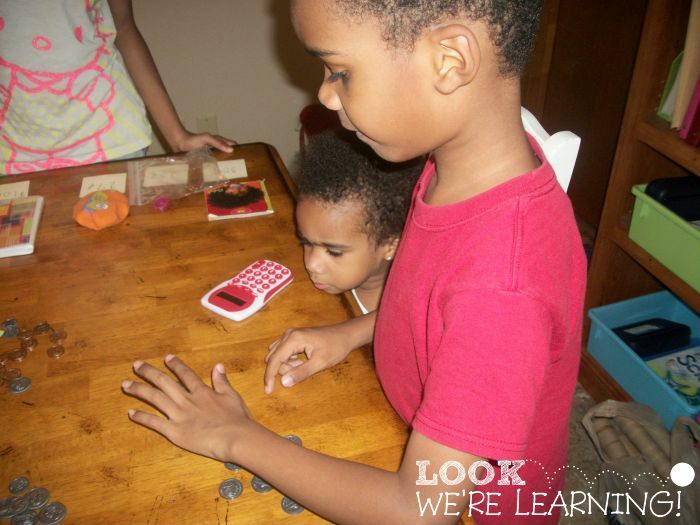 What money lesson is complete without a game of “Store”? Usually kids learn about the concept of money when we go shopping. That’s a great place to start teaching them about money! To set up our “store”, I asked the kids to go to their rooms and pick three things each. They came back with their most prized possessions. It was actually pretty cute. Then I just arbitrarily assigned prices to each item using sticky notes. And our store was complete! Now I might skimp on my store “shelves”, but I try to use realistic play money. (Ours is from Learning Resources.) I think it’s important for kids to learn what actual coins look like so they can recognize them in real life. It’s somewhat ironic to be teaching with dollars and coins when we almost always use cards now, but it’s so important that kids understand how money works. When we make “purchases” in our store, we add up the total using a calculator, count out our money, and we’re off! Another way we like to teach money in second grade is by playing Monopoly Junior. It’s a fun and easy way for younger kids to learn about concepts such as buying and selling, property, and budgeting. Want even more practice with learning about money? 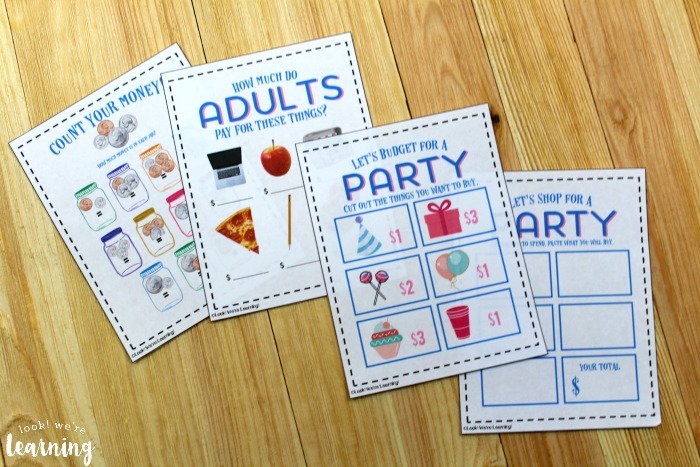 We have a new set of learning printables to add to our list of fun money activities for second grade and other early elementary grade levels! A full set of instructions is also included! 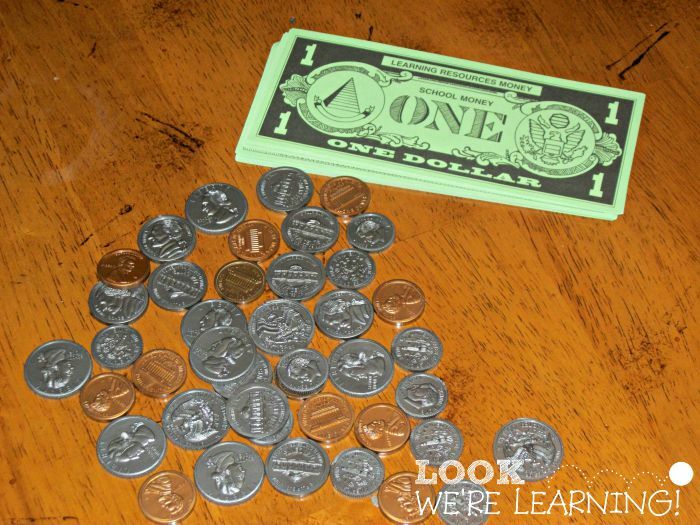 These are wonderful for introducing kids to the idea of how money is used in the real world! 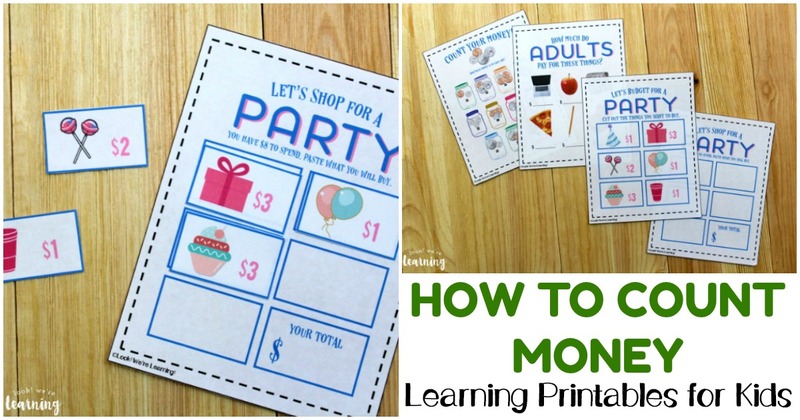 Scroll down to get your copy of our Learning About Money Printables! See more ways to make math fun on my Math Mania Pinterest board! 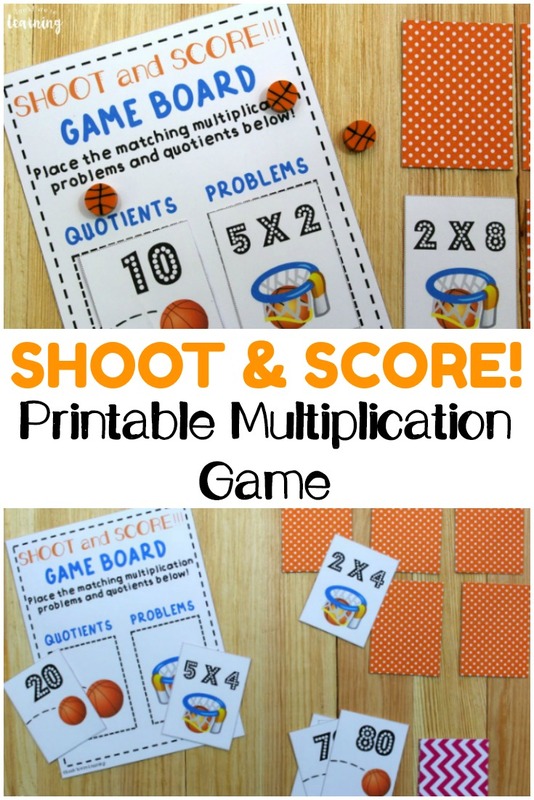 Don’t miss these other math learning printables for kids! 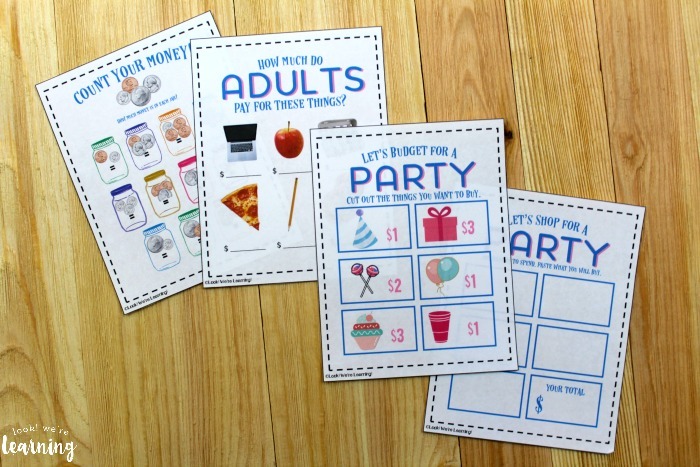 To get your copy of our Learning About Money Printable Set, just sign up for our email newsletter! 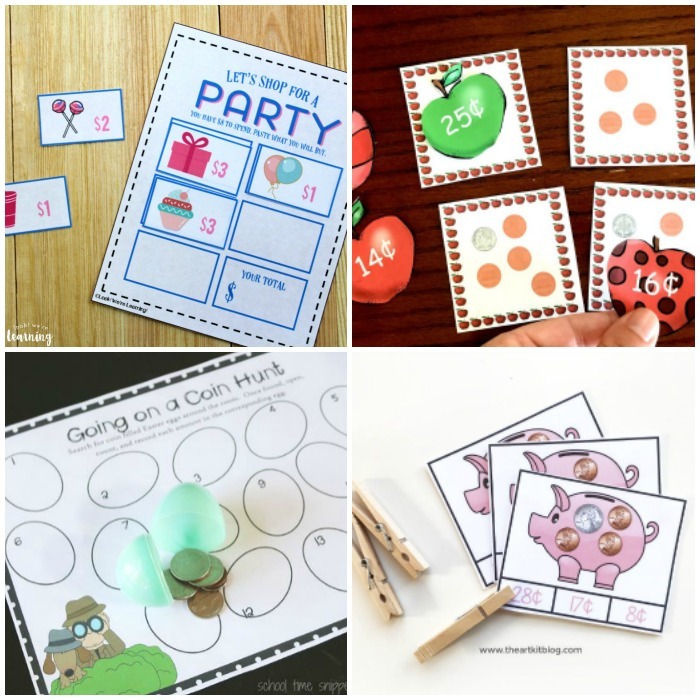 It’s free and you’ll get these, plus lots of other learning printables in our exclusive Subscriber Library! Use the widget below to get started. I love the concentration game going to print out and add to our money resources. Great ideas for learning about money! I especially love the store! Thanks for the free printable! 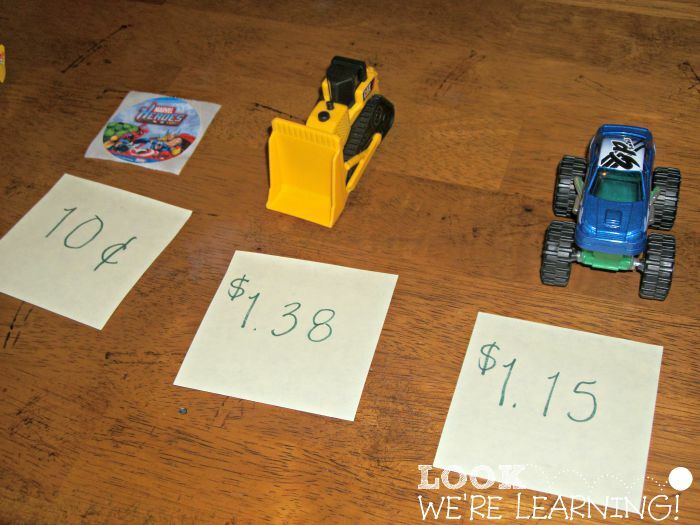 Teach your child how to save money. 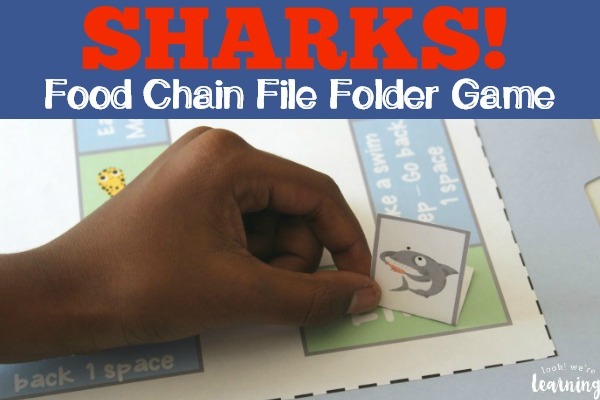 This post is a good idea for money activities, children will love this game. Thanks for sharing your insight.